Heroes and trophies of the Great People's War: Vol. 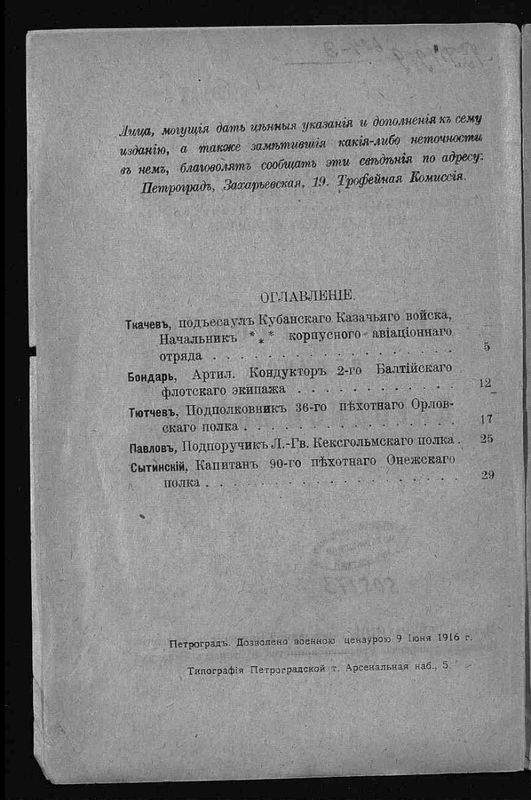 1- / edition of the Highest Commission on the description of combat trophies of the Russian army and the old Russian banners. 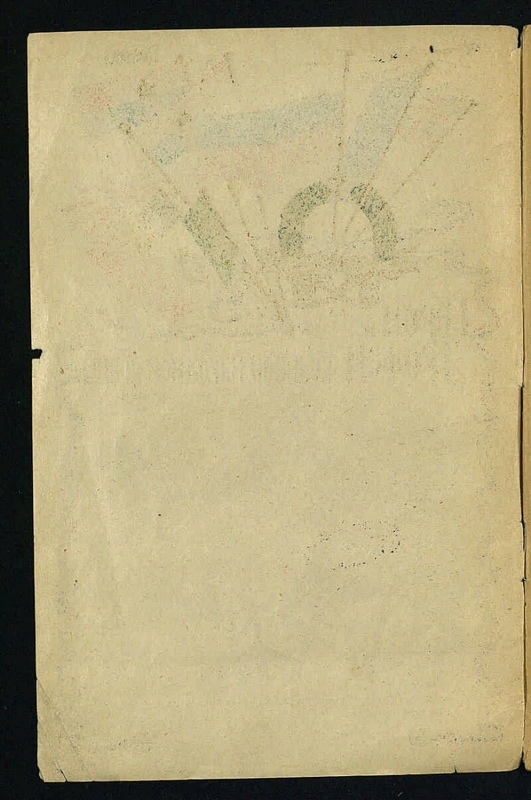 - Petrograd: printing house of the Petrograd t., 1916. - 22 cm . I. Russia. Commission for the description of combat trophies of the Russian army and old Russian banners.1. The people (the collection). 2. The First World War (collection). 3. 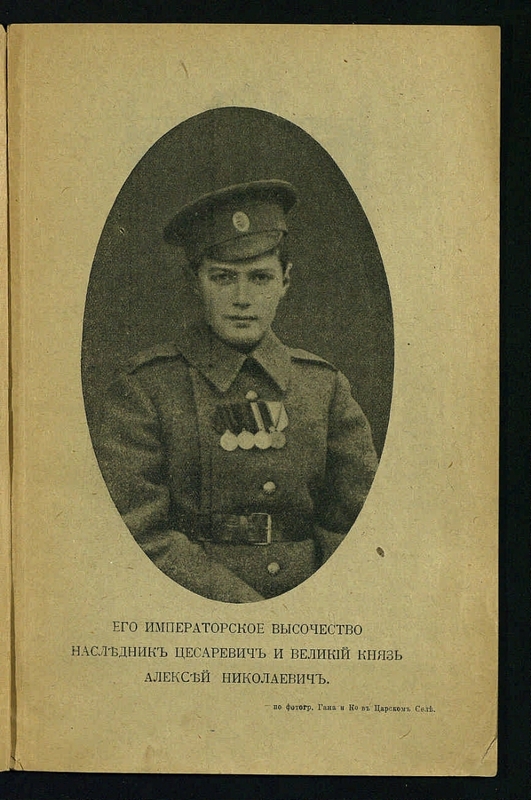 The First World War - Heroes and Heroism - Russia - 1914 - 1918. 4. World War I - Trophies captured by Russian troops - Russia - 1914-1918. 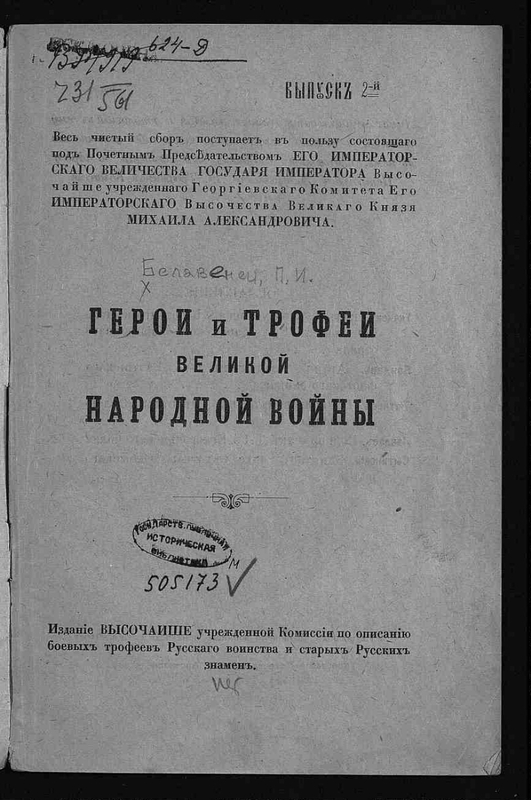 The author is listed at the end of the text. 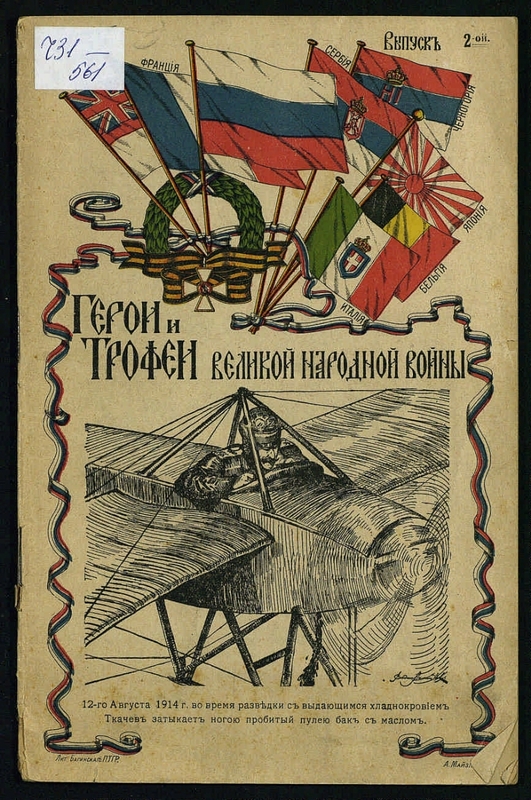 Contains: Tkachev, the captain of the Kuban Cossack Host, the head of the corps aviation squad; Tyutchev, lieutenant colonel of the 36th Infantry of the Orel regiment; Cooper, artil. conductor 2 of the Baltic Fleet Crew; Pavlov, second lieutenant of the Guards of the Kexholm Regiment; Sytinsky, captain of the 90th Infantry Regiment of Onega. I. Belavenets, Pyotr Ivanovich. The people (the collection). 2. The First World War (collection). 3. The First World War - Heroes and Heroism - Russia - 1914 - 1918. 4. World War I - Trophies captured by Russian troops - Russia - 1914-1918.